One of my favorite fall traditions that I have been doing since I was a kid is going to the pumpkin patch and hunting down the best pumpkin for carving! 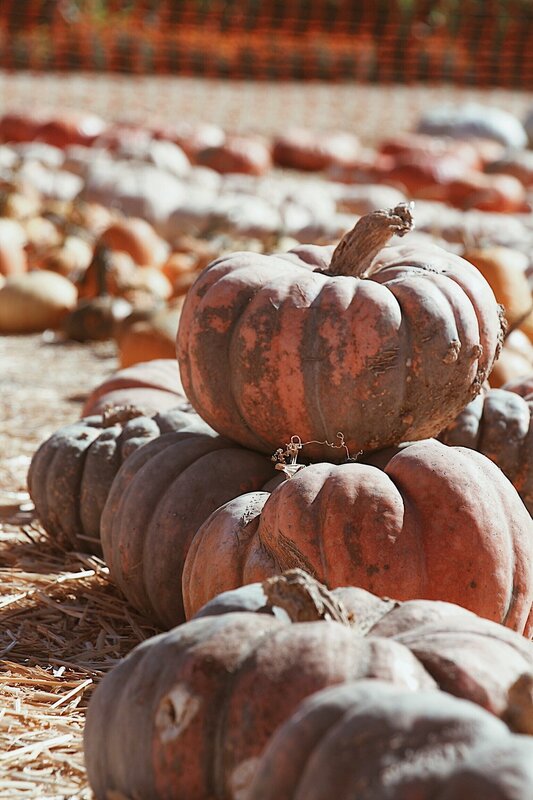 These past few years, Paul and I have started going to this pumpkin patch in Moorpark called Underwood Family Farms. 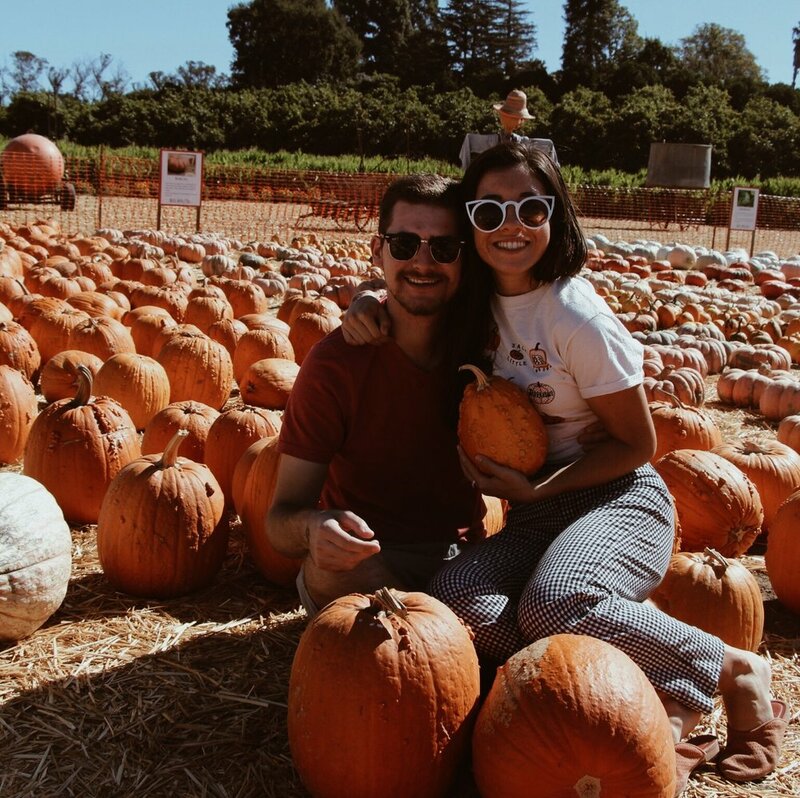 They are a great location with a huge variety of pumpkins, squash, and gourds to choose from and are very family friendly with a ton of interactive activities for kids! Also, they are open year round for regular market visits and you can even pick your own seasonal fruits/veggies (we went strawberry picking one year and it was such fun!). Sadly, it didn't quite feel like fall when we went, but that didn't stop us from getting as festive as possible!